Glyphosate Trial Ends In $80 Million Verdict – So What’s Next? The first glyphosate federal bellwether trial ended yesterday with a California jury awarding plaintiff Edwin Hardeman nearly $81 million dollars. A unanimous jury found Monsanto liable for failing to warn that its glyphosate-containing Roundup weed killer could cause cancer, as well as findings for negligence and design defect. The jury award included $75 million in punitive damages. Edwin Hardeman alleged that his use of Roundup to kill weeds and poison oak on his 56-acre property for more than 25 years resulted in his development of non-Hodgkin’s lymphoma. Yesterday’s jury finding marks the end of the second and final phase of Hardeman’s month long trial. Phase one ended just over a week ago with the same jury finding that glyphosate containing weed killer was a substantial factor in causing Edwin Hardeman’s non-Hodgkin’s lymphoma, before turning to the question of liability and damages in phase two. Judge Chhabria previously bifurcated the trial at Monsanto’s request; a decision that was viewed as defense victory because it prevented jurors from hearing allegations about Monsanto’s alleged conduct seeking to influence the scientific findings regarding glyphosate during the causation phase. However, after the jury found for plaintiff in phase one of trial, jurors then heard evidence that plaintiff’s attorneys argued proved that, for several decades, Monsanto was aware of a number of studies that linked Roundup to cancer. Jurors also heard that Bayer Science bought Monsanto for $63 billion last June. Bayer Science maintains that there is no valid scientific evidence to contradict decades of science and the conclusion of multiple regulators that glyphosate-based herbicides are not carcinogenic. Bayer has announced that it will appeal the Hardeman verdict. What’s Ahead in the Glyphosate Litigation? The jury’s verdict in Hardeman could impact hundreds of other similar suits pending in federal court in California. Judge Chhabria previously designated the Hardemans’ lawsuit and two other federal suits as the first three to go to trial as a way of showing both sides the possible outcomes. Judge Chhabria even suggested in court that if there were three verdicts by May, he might “push the pause button” on the federal cases pending before him to allow the parties to discuss settlement. Bayer, on the other hand, issued a statement that the Hardeman verdict will have no impact on future cases because each case has its own factual and legal circumstances. Bayer/Monsanto is heading back to court today with jury selection set to begin in the Pilliod case in state court in California. In addition to the federal suits, more than 250 cases in which plaintiffs allege exposure to Roundup caused them to develop non-Hodgkin lymphoma have been consolidated before Judge Winifred in state court. The Pilliod suit involves two married plaintiffs, Alva and Alberta Pilliod, who both developed non-Hodgkin lymphoma at the same time and allege that glyphosate is the cause. Monsanto’s request that the Pilliod’s cases be tried separately was previously denied by Judge Smith. The Pilliod trial, like the prior state trial, Johnson, and unlike the federal Hardeman trial, will not be bifurcated into causation and liability phases and it is expected plaintiff will spend a significant amount of time reviewing Monsanto’s historical documents as part of their case. 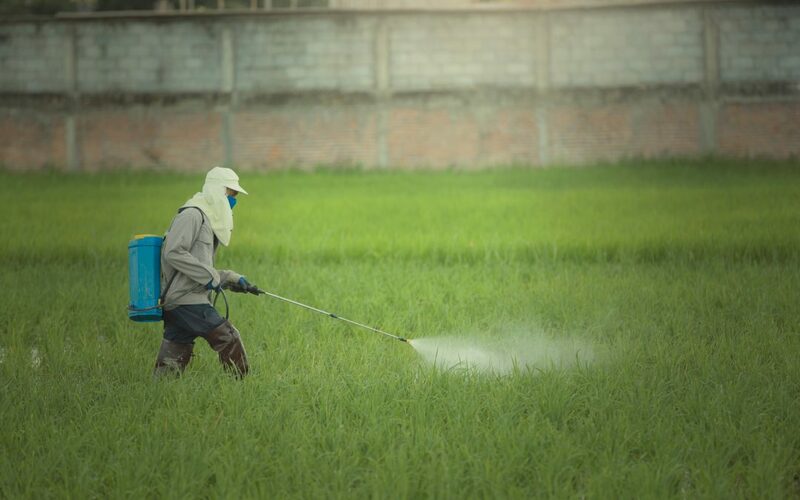 While there has been an influx of lawsuits filed against Monsanto by plaintiffs alleging that they developed cancer from their use of Monsanto’s Roundup and Ranger Pro products, those are not the only glyphosate related suits to date. In the United States, there have also been suits against a handful of food manufacturers, primarily alleging that the companies failed to warn customers that their products contain glyphosate. Looking ahead, we could see claims against downstream actors, claims related to soil contamination, or negligence claims for overspray of glyphosate containing weed killers. For now, we will watch the Pilliod case to see how Monsanto fairs defending its third Roundup case; however, for more information on how we see the future of the glyphosate litigation expanding, please contact John Gardella (email him or 617-279-8225) or Michaela Lancer (email her or 617-279-8216).